But speculation was rampant, and like today it caused severe problems and rigging of markets. As Michael Lewis said, the stock market is rigged. The same can be said for the housing market, commodities markets, and Will Rogers was quite aware of those rigging tactics as well. In January, banker suicides were up. And there have been murders and suicides of bankers in the news quite frequently lately. 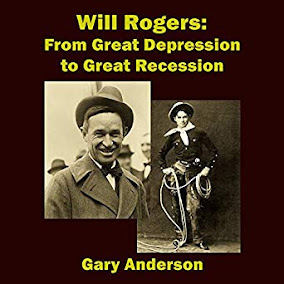 However, the suicides Will Rogers was speaking about happened after the stock market crashed in 1929. These current suicides could be a reflection of trying to be against the easy money that is flooding our markets and causing all of them to be rigged. Momentum stocks make money. And yet it seems so dirty to ride the momentum that must one day end. It is like riding the dot com bubble. You just knew you could lose your shirt if you didn't get out in time. In Will Rogers' day, lots of folks didn't make it out in time. So, could Europe be in trouble, moreso than the United States? 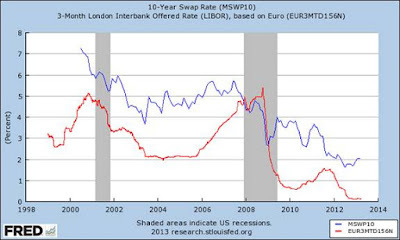 We know the banks there are still highly leveraged. We know that the rash of suicides in January did not seem quite right for bankers who are making a boatload of money and are in their prime. It appears, the only possible link has to do with public finances deteriorating in Europe, and for the need for a one off wealth tax. If consumer spending is starting to flatten and decline, due to wages simply not keeping up with the speculation and cornering of commodity markets, what will happen? I worked in a niche area of finance. I was laid off last year. One day I realized half the people I know were unemployed. Sold all my furniture and most of my stuff. I am leaving the country on Monday. No plans to return to the USA for a while. Tonight (it is Tuesday January 28th) Obama is giving his State of the Union address. Part of the discussion will be a plan for Americans to have a retirement account with the government. This will be used to as a step for the government to later make a grab for American's 401ks and IRAs. They will try to trade your investments for US government debt. I am planning accordingly. Well, Europe could be in even more dire straits. There is no question that in Europe, bank failure will be met by not only partial government bailouts, but as I have written before, by confiscation of bank accounts, similar to what happened in Cyprus. And one must always be concerned that one day government debt will be traded for your assets, especially a government run 401k. The government can do some things well, like the Hoover Dam. I don't think the government is too good at keeping your assets safe if there is a credit crunch. It is one thing to buy war bonds in WW2, but quite another to have peace bonds shoved down your neck in exchange for your assets in the government 401k. Now, Will Rogers was for helping the poor. Lots of people concerned about our financial health want to blame the poor and balance the budget on the backs of the poor. Let me tell you, that propaganda is fooling many of you as you read this. Don't be fooled. If you cut back on social security benefits or benefits for poor people you will eventually hurt the economy. And wealth inequality will go from bad to worse. The housing market is killing help we give to the poor as it is propped up by the speculators, with the blessing of Wall Street. But rents go up, and the poor get poorer. Wall Street has cornered the housing market. It is just stupid. Will Rogers would have thought WallStreet was dumber today than in the past. Houses should be for shelter, not for speculation. It is killing the poor financially, and it could kill the economy and shrink the middle class too.